Two San Diego residents who health officials believe caught measles on a trip to Disneyland may have exposed others, health officials said Wednesday. The siblings visited the Parkway Plaza Mall on December 29 last year, possibly spreading the virus to fellow shoppers, the county Health and Human Services Agency (HHSA) said. They are two of the nine park-goers recently diagnosed with the infectious disease after visiting Disneyland parks in Southern California in December. "It's so contagious, in fact, if someone with measles is in this room and that person leaves and you come in an hour later, you could still be exposed because of the airborne virus particles in the air," said Dr. Eric McDonald, medical director at the HHSA. El Cajon shoppers may have been exposed to measles if they were at the mall between 10 a.m. and 2 p.m. that day, particularly if they were in or around GameStop, Sunglasses Hut and the mall carousel. There is no current risk for measles exposure at the locations. "They should know up to 21 days after they were exposed," he said. "They could develop signs and symptoms of measles, and actually today or tomorrow, the first cases may show up. That's why we want to get the word out." Early symptoms include a cough, runny nose and red eyes. Anyone with measles considered contagious four days before the disease’s distinctive red rash appears. The California Department of Public Health confirmed seven cases of measles in the state and two others in Utah. Three more California residents are also suspected to have measles, but those cases are not confirmed. 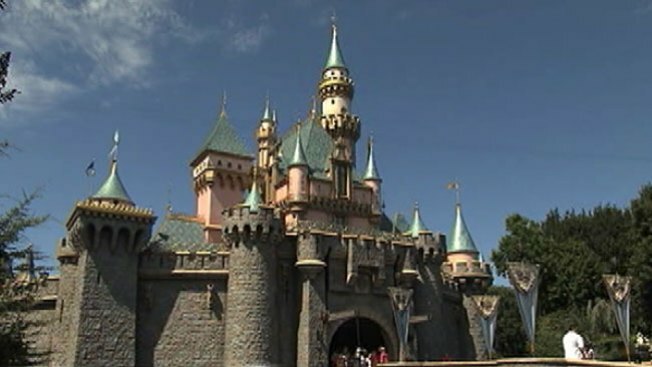 The source of the infection is still under investigation, but health officials said it's likely that a person with measles was at Disneyland or California Adventure during that time period. The confirmed cases in California live in Alameda, Orange, Pasadena, Riverside and San Diego counties and range in age from 8 months to 21 years. Six of the seven California patients — including the two in San Diego — were not vaccinated for measles. Two who were too young to be vaccinated, officials said, and one had been vaccinated with two doses of the MMR vaccine. More information about measles can be found on the California Department of Public Health website. Christina Cocca contributed to this report.